Discussion in 'Credit, Debt and Collection' started by w237, Sep 11, 2018. Hello! I received a certified letter from my local court that the State of Ohio Collections Enforcement is suing me on behalf of my university for charges from 3 years ago. These were not student loans; it was for unpaid tuition. Earlier this year, I was able to log onto my University Account and paid the remaining balance ($3,020.45). It now shows that the amount owed is $0. I do not want to go to court. It says that I have 28 days to respond. There is a case number in the top corner of the paper (does this mean that it is already on my record for public background?). I already paid the University over $3K. Do I still have to pay and additional $5.5K? I do not want this on my record because I am apply for jobs in underwriting and cannot have anything on background check. Is it too late to settle out of court? I will be calling to local law office assigned to represent the Ohio Attorney General on behalf of my University. I dont know what questions to ask to start off. If I have to pay the $5K to keep this off my record, I will take a loan from my in-laws. But I just need to know how to handle this. I do not have my own lawyer. Any info is greatly appreciated. Thanks! I do not want to go to court. Going to court is the only way to make this go away. "Talking" to people who have already sued you isn't going to stop them. Raising a defense and getting a judgment in your favor is how you stop them. There is a case number in the top corner of the paper (does this mean that it is already on my record for public background?). Go online to the court website's case search feature. If you find your case then, yes, it's out there for all to see. I do not want this on my record because I am apply for jobs in underwriting and cannot have anything on background check. Is it too late to settle out of court? already paid the University over $3K. Do I still have to pay and additional $5.5K? Why would you if you already paid the balance and your account shows $0? I will be calling to local law office assigned to represent the Ohio Attorney General on behalf of my University. Good. Come back and report after you submit your documentation of payment and $0 balance. Hope you took screen shots of the account pages and confirmation of payment. If not, do it now. I dont know what questions to ask to start off. Start by asking if they have a record of you paying the $3020.45 when that was all that was due. Thank you for the reply! I appreciate you taking the time to break down the points and respond to each part! I did owe the University money for unpaid tuition. That part and the interest I understand. The Attorney General tacked on extra fees for their administrative cost. I would like to settle out of court. It would be difficult for me to commute back to Ohio and I also have very bad anxiety. I would rather settle out of court and have this go away. I am just uncertain if I can negotiate a lower price for their administrative costs. I paid the unpaid tuition balance (I can still log into my account and see this). The interest makes sense to me. I dont know if I can negotiate the other costs and settle out of court. I am uncertain how to go about asking on the phone call tomorrow. You might start by saying, "I'm confused. I paid my account in full. I captured a screenshot of a zero balance on my account immediately after the payment. I'm sure this is a mistake. I can forward you proof of my payment to help you resolve this matter. Would you like me to email my proof, fax it, or send it by overnight courier?" See what response you receive. If its negative, then ask the other party to forward you proof of the debt as required by the FCRA. I'm not sure what you mean by "my record." If you've been sued, there are obviously records at the courthouse relating to the lawsuit, and court records relating to civil lawsuit are almost always available for public review and copying. If you're asking whether this lawsuit will turn up if someone runs a background check on you, that depends on what sources the person conducting the background check searches and the purpose for which the background check is being done. We have no way of knowing based on what you've told us. You'll have to ascertain from the plaintiff or the plaintiff's attorney whether there's any overlap between what you paid and what you're being sued for now. Is it too late to settle out of court? Depends on what you mean by "out of court." 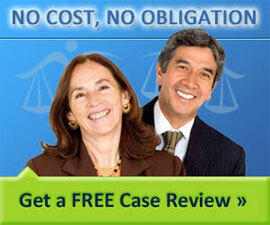 You told us you've already been sued, but you still can try to settle. Call the plaintiff's lawyer and discuss the matter. It's not an unusual thing for a person being sued to call the plaintiff's lawyer and convince the lawyer to drop the suit or arrange for a settlement. 80-90% of cases are resolved by settlement, not by one or the other party obtaining a judgment, and those settlements can occur at the start of the case as easily as any other time. We cannot predict how receptive the plaintiff or its lawyer will be to any offer you might make, but you can try to negotiate anything. The first thing to do is to ascertain the extent (if any) to which the money you already paid overlaps with what's currently being sued for. Then make an offer based on what you can reasonably afford to pay. I called and paid the full amount so they would "dismiss the lawsuit". The office does not negotiate the amount. Either I paid or I would have to go through a court trial. I would then have court fees and any legal fees on my end (plus travel costs to Ohio). The collector guy at the law office was really rude on the phone, but they are debt collectors, not my friends. And I owed the money so technically they have no reason to be professional/nice. I would represent my business better if I was an employee of the office, but that is irrelevant I guess. I hope this nightmare is over. Thanks to all for the great advice.